Embraer Phenom Delivery Anywhere. Anytime. "Nothing compares to picking up a brand new Embraer Phenom in Brazil and delivering it across 10 countries and a couple oceans to the other side of the planet." 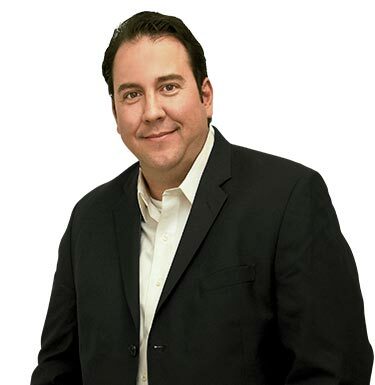 Marcio serves as Manager of Aircraft Acceptance and Aircraft Delivery for jetAVIVA. A native of Brazil and fluent in English, Spanish, and Portuguese, Marcio's career as a pilot spans time at Lider Taxi Aereo, the largest air taxi company in Brazil, to TAM Airlines flying the Fokker 100 and VASP Airlines piloting the MD-11. Marcio flies the Airbus A320 for a major US airline when not accepting and delivering aircraft for jetAVIVA. His worldwide delivery experience includes USA, Brazil, Canada, Mexico, Costa Rica, The Bahamas, The Netherlands Antilles, The Turks and Caicos, Barbados, Trinidad and Tobago, Dominican Republic, British Virgin Islands, Guyana, Suriname, Argentina, Paraguay, Uruguay, Bolivia, Germany, France, Greece, The UK, Iceland, Greenland, Belgium, Greece, Spain, The Philippines, Australia, UAE, Japan, Korea, Turkey, Saudi Arabia, India, Pakistan, Kenya, Cameroon, The Seychelles, Maldives and more. jetAVIVA is proud of been one of the world's leaders in ferrying new Phenoms, Citations, and pre-flown aircraft worldwide. In the past 11 years, jetAVIVA has accomplished dozens of incident free aircraft deliveries. We are experienced in aircraft that range from single-engine piston like the Bonanza and Cirrus, to turbines like the Pilatus, TBM and King Air, to mid-size twin jets like the Eclipse, Embraer Phenom and Cessna Citation. jetAVIVA's number one priority is safety. With a team of experts in their fields, we have numerous procedures in place that focus on a safe, reliable and economical operations. We are one of the most experienced providers of ferry services between North America and Brazil since most of our deliveries are to or from Brazil. Marcio Lucchese, Pilot on Discovery Channel. 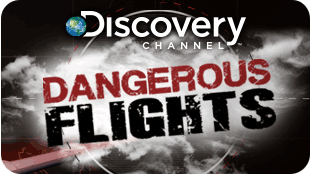 Dangerous Flights is the real deal: a high testosterone action adventure series on the edge of aviation’s final frontier, starring the daring mavericks who risk their lives in the high-danger, high-stress business of aircraft delivery. High-altitude adventures, pressure-cooker human conflicts; these are the true dramatic stories of six aircraft delivery pilots, including veteran Embraer ferry pilot Marcio Lucchese who must ferry his Phenom 100 jet 10,259nm, from Australia to Las Vegas, skirting North Korean airspace. From volatile weather systems, passenger cabins stuffed with jerry-rigged fuel tanks, and non-stop fireworks between pilots and co-pilots, high-strung mechanics, and over-demanding customers, this is one TV series guaranteed to keep on thrilling, chilling, and spilling... from take off all the way to a winning touchdown.